And the onboard temperature controller either non digital or digital can handle the load of two 500w elements? I don't know if it is safe to run a modified Bradley without a PID. I've always used some type of temperature controller when running two 500 watts. There are at least a few on this forum that are running 1000w or 900w without a PID. I have the old original Bradley. Besides the issue of the Bradley controller handling the extra load I mainly use my third party temperature controller as an extra insurance to prevent the cabinet from getting too hot, and possibly causing a fire. 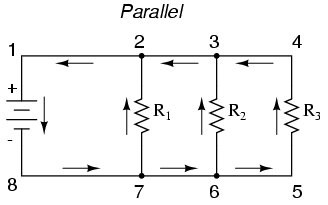 Actually, they are both parallel circuits. I think the how-to in the mods section ran the wires for both elements all the way to the back because he wasn't sure if the 14 ga wire could handle the 1000W load. 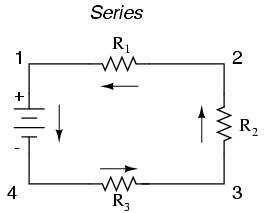 To be in series the power would have to go to the first element, pass through it and out to the second element, pass through it and back to the source from the second element. Think of the "R" below as a 500W element.